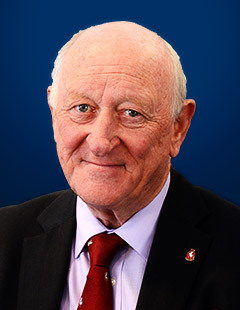 Richard Collins is a retired Consultant Surgeon and former Senior Vice-President of the Royal College of Surgeons. Honorary Medical Officer to Kent County Cricket Club from 1982 to 2011. Life Member of Kent County Cricket Club. Member of the Committee since 1999, Club President in 2005. Member of Ground Development sub-Committee. Chaired Kent Cricket Appeal 2000, raising over £100,000. Played Club Cricket for Buckhurst Hill Cricket Club in Essex before moving to live and work in Kent in 1976. Member of MCC since 1964, represented them against Canada at Lord’s in 1969.